Thousands of passengers have been left stranded and planes diverted due to a drone causing chaos at Gatwick Airport. Authorities at Gatwick airport have said flights will be suspended until at least the afternoon as police hunt for the operator of the drone that caused chaos. 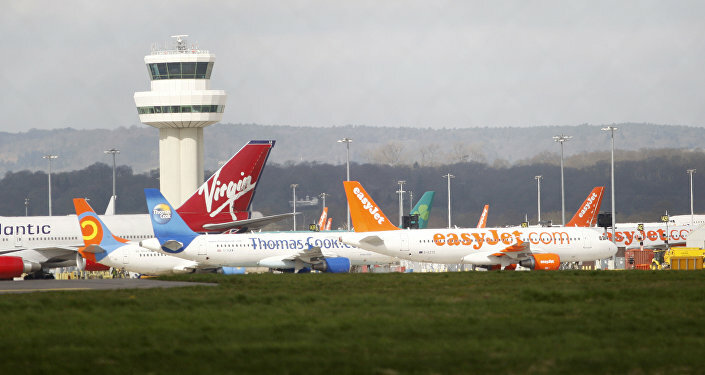 The runways were shut around 9 pm yesterday when two drones were spotted flying over the airfield. Further sightings were spotted again in the early hours. The shutdown has led to flights being diverted to Paris and Amsterdam, passengers being sent to hotels and more than 200 flights being cancelled until the situation is resolved. 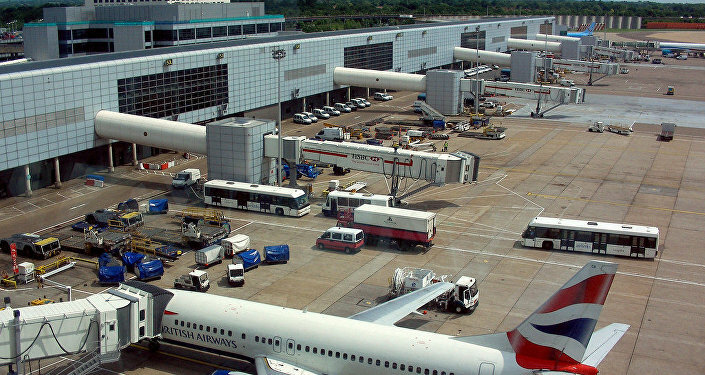 Sputnik spoke with Andrew McQuilan, crowd safety and drone expert on the chaos at Gatwick. Sputnik: What do you make of the Gatwick chaos? Andrew McQuilan: It’s very concerning because there are multiple reports coming from there, from police that there were multiple drones; that there are multiple drones involved and they are flying for long periods of time. That’s very unusual because, high street bought drones will typically fly for 30 minutes at most. When you hear people flying for 6 hours and 3 hours or however long, that’s very odd. Sputnik: What are the laws around the drone flying in the UK and around airports? Andrew McQuilan: People are saying they should be illegal, it is illegal there was a navigational order in 2016 making it a criminal offence to fly near an airport like that. It is also an offence to endanger the safety of an aircraft. There are penalties you could face five years for this so there is law to make this illegal. Sputnik: Could this situation have an impact on the sales of drones in the UK? Andrew McQuilan: I know some of the manufacturer’s that are the world’s biggest and the team at the Civil aviation authority and they both say they have an excellent working relationship with each other. This is shown by the fact if you buy a drone in the UK from the main manufactures you’ll get safety information from the CAA as part of that about when and where you can fly. Any drone brought on the high street will have geofencing; the reason for this is to stop you flying places like Gatwick. That’s there because the manufacturers don’t want their sales restricted by legislation, so they self-limit their drones from flying in areas they shouldn’t to avoid getting into trouble. Views and opinions expressed in this article are those of Andrew McQuilan and do not necessarily reflect those of Sputnik.